Join us for a day of delicious indulgence that will tickle your taste buds and capture your creative side with a hands-on class that teaches you how to make sculptured chocolates of your own, just like a Swiss Chocolatier. The adventure begins with a scenic drive through the majestic Swiss Alps to the pristine shores of Lake Geneva. Our first stop takes us to the quaint town of Vevey, where the Chocolate Masters of Läderach will share all their sweet chocolate secrets with us. This full chocolate immersion offers several attractions including a Chocolate Boutique, Chocolate Exhibition, and a live hands-on confectionary class. 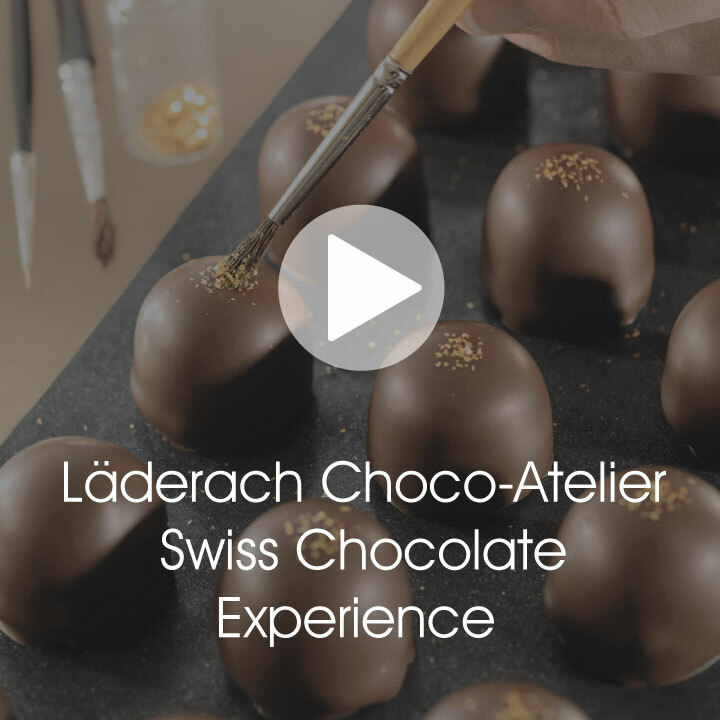 Become a chocolate connoisseur during this “hands-on experience” that teaches you molding and decorating techniques and the chance to make your very own Swiss Chocolate treats to take home! This unforgettable experience is guided by a master Swiss Chocolatier and also offers a chocolate tasting where you can sample the absolute finest of Swiss chocolate specialties. Our journey continues along the lake’s beautiful shoreline to the charming town of Geneva, known as the city of peace, serving as Headquarters of the European United Nations and the International Red Cross. Jet d’Eau, the world’s largest water fountain, shoots water to heights of 450 feet and serves as the town’s iconic symbol. Geneva’s Old Town will charm you with a glimpse into the past and Mount Blanc, Europe’s largest Mountain, provides the perfect backdrop for this picturesque city. There is plenty of free time for you to explore one of the many museums, relax at the waterfront, shop the famous Market Street for Swiss souvenirs or try out one of the fantastic cheese fondue restaurants for a traditional Swiss lunch.